Osun State governor, Mr. Gboyega Oyetola, has ordered that integrity test be carried out on old and weak houses across the state. According to the Supervisor for Works, Engr. Remi Omowaiye, the governor gave the order that the test be carried out to prevent building collapse in the state. 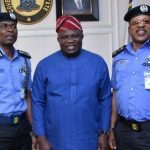 In a statement on Sunday, Omowaiye said the directive was a necessary proactive measure following last week’s collapse of buildings in Lagos and Ibadan. Omowaiye said relevant agencies and facilities in the state would be mobilized to ensure that what is necessary is done. 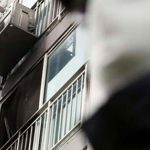 He enjoined members of the public to report to the authorities any observation they have on any building that is believed to be weak so that immediate action will be taken. Also, Omowaiye disclosed that the governor has also directed the Ministry of the Environment to ensure that drains are cleared to prevent flooding as rainfall sets in. 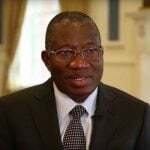 He said the Ministries of Works, Environment, Land and Urban development would work together to take preemptive action against building collapse in the state. 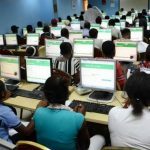 The Joint Admissions and Matriculation Board (JAMB) said it would ensure a smooth and successful conduct of the ongoing Unified Tertiary Matriculation Examination (UTME). 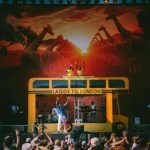 Afropop sensation Tosin Ajibade aka Mr Eazi had the crowd swaying to his debut performance at Coachella on Saturday night. A South Korean man set his apartment on fire before stabbing fleeing residents with a knife, killing five people and injuring 13 others. The acting Inspector General of Police (IGP), Adamu Mohammed, has warned police officers to shun activities that are not in line with the mandates of the force, especially extra-judicial killing.